Everybody knows that this is one of the most famous specialty in Odori Koen Park. It is so nice for not only people walking at the park, but also doves around you that you keep in mind not to be stalked. 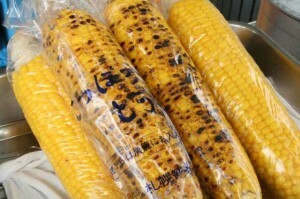 ‘Tōkibi’ means corn in Hokkaido. 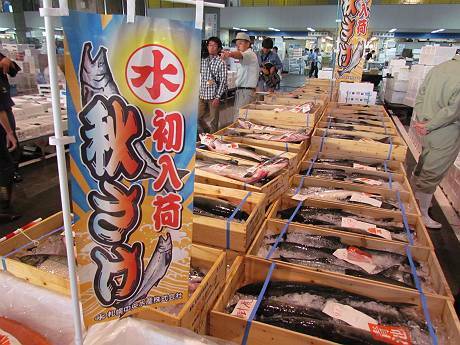 In Honshu, they might say ‘Tōmorokoshi’.There are basically two types of cone, burned and boiled. A burned type is soy sauce taste and a boiled one salty. Which type is better? It’s depends on you. Try both of them. It costs about ¥300. Not only cones, there are also water, ice candy, shaved ice (usually served with flavored simple syrup) available.